Exclusively developed for clarifying hair before Keratin Treatment. 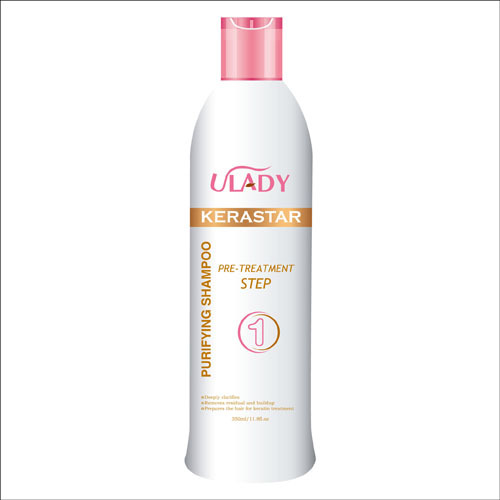 Unique deep cleansing formula not only clarifies hair deeply, remove residual buildup, but also open the hair cuticles to prepare the best hair environment for Keratin Treatment, it’s highly recommended to use before doing the perfect KeraStar Keratin Treatment. Massage into wet hair twice for normal or chemically-treated hair and three times on virgin hair with KeraStar Purifying Shampoo and rinse out thoroughly.